Curtains are more than just a way of shutting out the darkness. Window dressing is an important aspect of the overall look and atmosphere of a room. Add blocks of colour and design to a room. Provide privacy, including during the day, when sheer curtains remain drawn yet let in light. Keep rooms warm in winter; especially if lined. Shield rooms from the sun by day. Act as dividers to partition off sections of a room -for example, the bed area in a studio flat. Create a formal or casual mood for rooms. Provide protection from morning or evening sun. Offer total privacy, if your windows are overlooked. Avoid sheer materials and unlined cotton unless you like the sun in the morning or need privacy. Choose lined curtains in heavyweight cotton, linen, and mixed fibres. Fit black-out lining in children’s rooms. To create impact in this room think about length, fabric quality, and style. If there’s a busy road outside, you might want to muffle sound with a heavy curtain. Net or sheer curtains provide privacy. 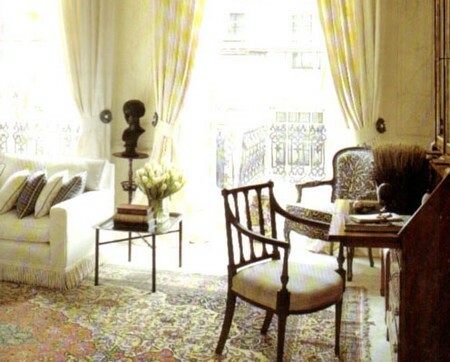 Choose heavier curtains to keep in the warmth. Think about patio door treatments. A wide range of fabrics are suitable. Choose fabrics to reflect the style of the upholstery in the room, from lush velvet to muslin, and match or contrast colours. Fabric used here needs to be easily washed, as it will attract grease, and must also be hard-wearing. Should shield food from the heat of the sun. Choose washable 100 per cent cotton. Consider cafe-style curtains that run on rails across the lower half of the window. This keeps the sun away from the preparation area, while allowing the cook to see outdoors. Use washable fabric that is resistant to mould. Ensure full privacy if windows have standard glass. Choose machine-washable cottons, linen and mixed fibres. Consider vinyl blinds for narrow windows. Curtains are sold ready-made, in varying widths and lengths, or made-to-measure, to accurately fit your window. This is expensive, but the choice of fabrics and designs is enormous. Whichever type of curtain you choose, you will need to take accurate measurements first. Always measure the width of the curtain track or pole – not the window. Include track overlap. For the length, measure from the top of the track or the underside of the pole rings to where you want your curtain to end. For full-length curtains, or ones that you want to sit on the sill, subtract one-half inch to allow for the fabric to stretch a little. Pre-made curtains are sold ungathered, and the label states the width of window they are intended to fit. However, this depends on the type of treatment you choose. For ones that need more than average fabric, buy wider curtains. 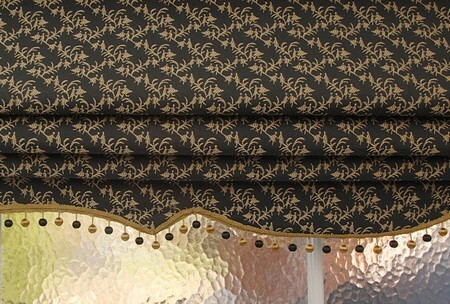 You may also want a valance. This can be either a fixed strip of fabric or a wooden surround, which will fit the wall directly above the curtain pole or track. Fabric valances may be gathered or straight, and should be purchased at the same time as the curtains.